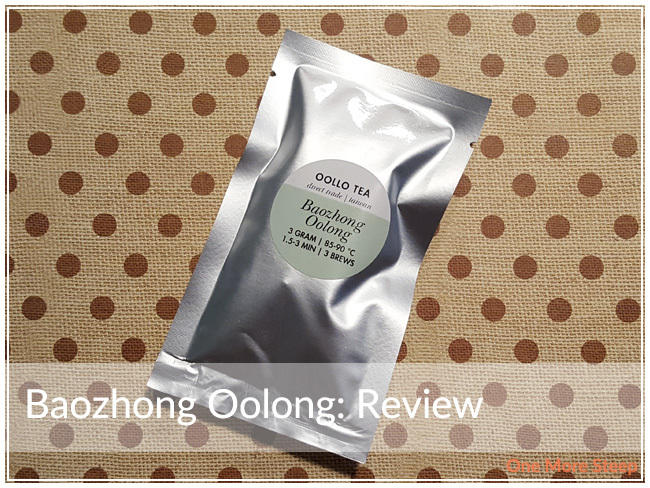 Oollo Tea has provided me with Baozhong Oolong for the purposes of providing an honest review. Baozhong Oolong (also known as pouchong oolong or light oolong) is today’s tea. It’s an interesting oolong because it falls somewhere between a green tea and an oolong tea, with the processing methods. 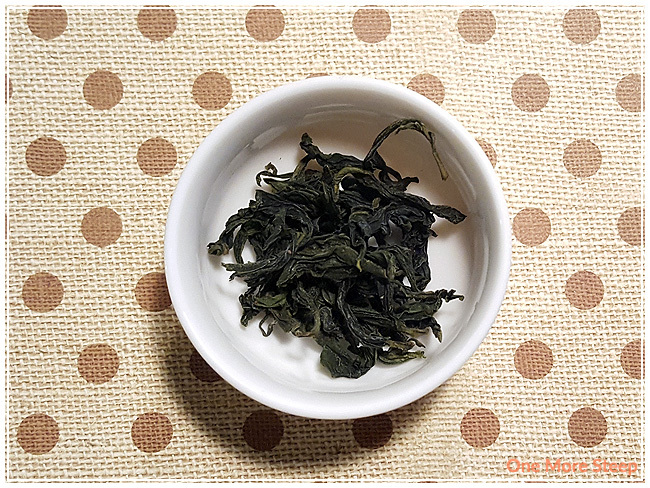 Baozhong Oolong is described as a floral oolong by Oollo Tea and I can certainly tell why when I first opened up the sample package. The leaves are dark green, with a high wiry twist to the leaves before they dried. There’s a vegetal smell that is mixed with light floral notes. There’s a subtle sweetness to the dry leaf that reminds me of the sweet smell of vanilla blended with honey. It smells delicious, to say the least! The ingredients for Baozhong Oolong is simply the oolong tea leaves. Oollo Tea suggests steeping Baozhong Oolong in 90-95°C (194-203°F) water for 3-5 minutes and up to 3 brews on their website. On the packaging, it was 85-90°C (185-294°F) for 1.5-3 minutes and up to 3 brews. I used my Breville IQ Kettle‘s oolong tea setting (91°C/195°F) and for my first steep of Baozhong Oolong, I steeped it for 2 minutes. The first thing I note is the pale golden yellow colour of the tea, Baozhong Oolong is pretty when it steeps because it’s just this lovely golden colour that I quite enjoy. The first thing that I note when the tea is steeping is the smell – there’s this buttery floral smell to it that is inviting. After steeping it for 2 minutes, I poured my first cup and had a sip. One of the first flavours that I pick up on is the smooth creamy texture to the tea, there’s a light buttery/creamy taste to it that makes the tea taste rich. 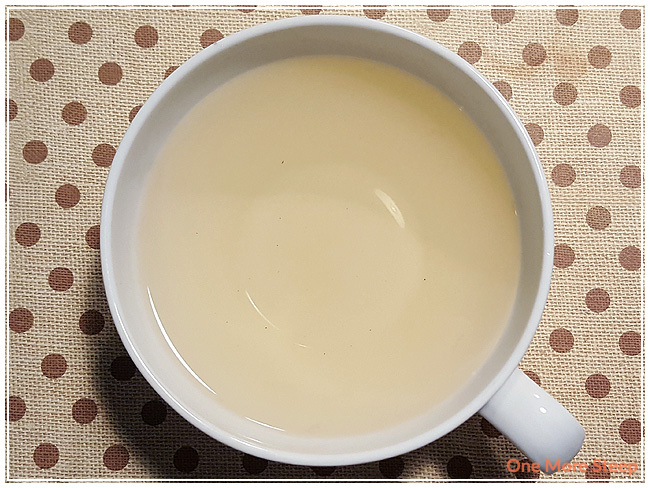 On the end of each sip of this tea, there’s a honeyed floral taste to it that goes very well with the buttery cream quality of the flavour profile. As I finished off the first cup of this tea, I couldn’t help but appreciate how complex the flavours are, and how differing it is from the start to finish of each sip of this tea. I resteeped this tea for a total of nine times. The second and third resteeps turned out to be a brighter, more golden yellow. The honeyed floral flavours became more pronounced, while the creamy butter taste and richness to the texture of the tea remained the same. Steeps four to eight tasted very similar, the overall flavour begins to decrease in intensity, but it’s still palatable and delicious. By the ninth, I was still enjoying it but found the flavour to be quite exhausted out of the tea leaves at this point and didn’t attempt a tenth steep. For each additional steep, I added an extra 30 seconds to the steeping time. I enjoy greener oolongs like bao zhong though I like darker oolongs too. 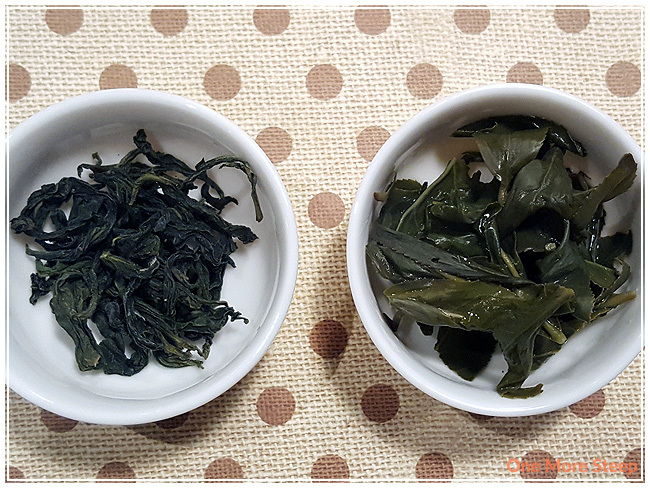 The wiry leaves are beautiful and so different than the rolled oolongs.